You’ll find some of the country’s most innovative and vibrant Asian restaurants in San Francisco — which I experienced firsthand during a whirlwind, weekend-long culinary tour of the City by the Bay. As a traveling foodie, I’ve found that few places hold more promise for culinary bliss than San Francisco. The city particularly shines when it comes to Asian and Asian-inspired cuisine. During a recent visit, my husband and I asked our Bay Area relatives and friends for suggestions and scoured our favorite foodie Instagram accounts and magazines before settling on three places to check out. Our food tour took our tastebuds from Burma to South Korea to Sichuan — and it did not disappoint. I first discovered Burmese food during a trip to Myanmar (formerly known as Burma) in 2015. 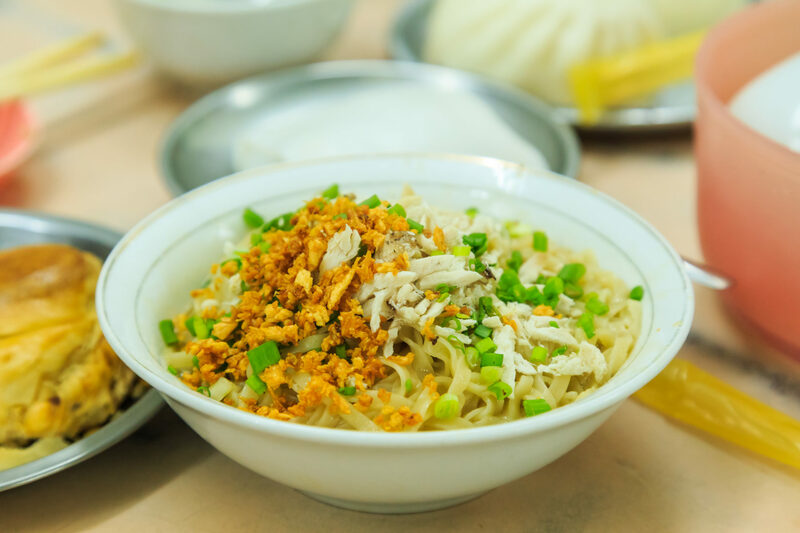 The pungent, sometimes spicy flavors — influenced by the neighboring countries of Laos, Thailand and China — were like nothing I’d ever tasted, and I knew I’d want more after returning home. Although Burmese cuisine is difficult to find in the United States, I was able to track some down in the Bay Area, thanks to intel from my chef cousin. Burma Superstar has three locations — San Francisco, Alameda and Oakland — and we visited the latter for dinner. The restaurant décor featured some Western elements, like the sleek wood tables and bar, and the presence of a cocktail and wine menu (most restaurants in Myanmar limit their alcohol offerings to glass bottles of the local pale lager). Stepping inside, I wondered how the food would compare to the “real thing” in Myanmar. But when it was time to eat, I was incredibly impressed. The flavors were authentic and well-executed. The curries were rich and thick, the lamb melted in my mouth, the coconut rice was to die for and the tea-leaf salad — Myanmar’s fermented national dish — brought us right back to the meals we’d blissfully eaten in Myanmar itself. Burma Superstar is no secret to locals and has a bit of a cult following. They don’t take reservations, so there’s usually a bit of a line during popular hours — but the food is well worth the wait. We settled in and savored a satisfying dinner with some Bay Area family members. The bulgogi beef was juicy, with the perfect amount of tangy, sweet marinade and crispy fat. The spicy tofu soup was spectacular, boasting a rich red broth and a heat factor that impressed even the spice lovers at the table. And the banchan (small-plate appetizers that come with the meal) were generous and tasty, including spot-on kimchi, sweet chilled tofu and briney vegetable salads. Enjoy Korean barbecue with a group, so you can try multiple types of meat and sides and share a meal family-style. 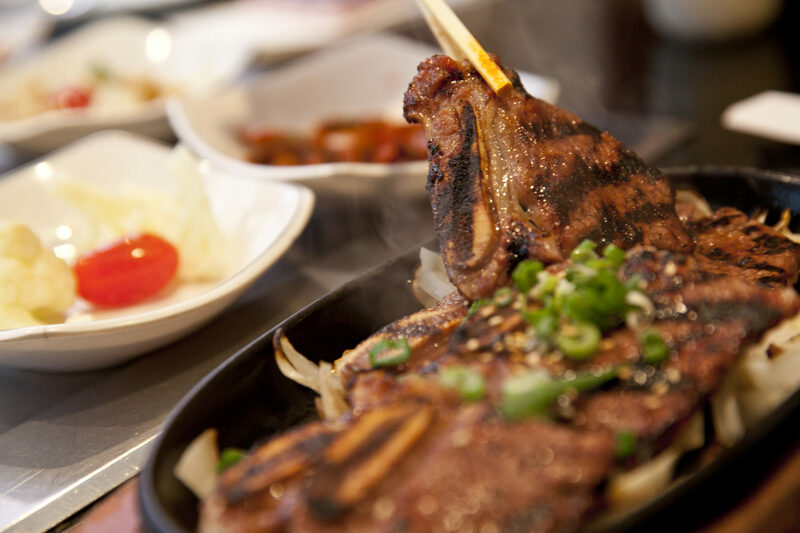 Order a round of soju (Korean rice liquor) for the table and get grilling! 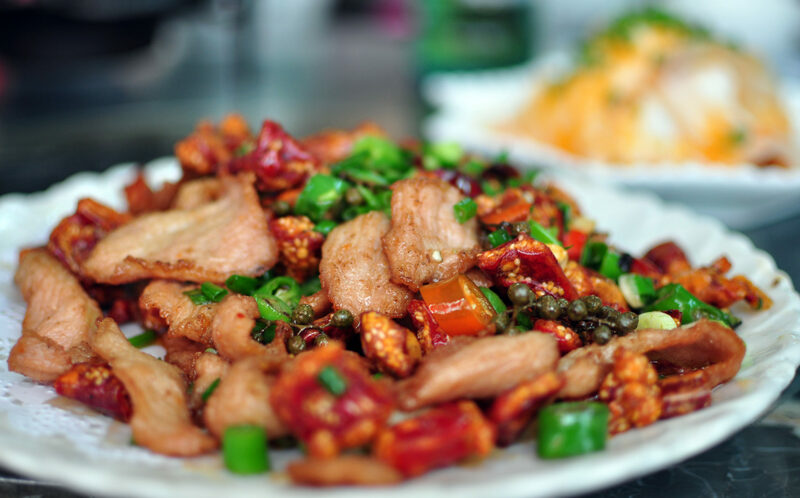 Mission Chinese in San Francisco’s Mission district offers and unconventional take on Sichuan and other Chinese dishes. The restaurant itself is hidden, speakeasy-style, behind the façade of a now-defunct Lung Shan. Fortunately, our friends gave us a heads up so we knew how to find it. We walked in to discover kitschy decor typical of an American-Chinese joint (a huge dragon-dance costume hangs from the ceiling). The vibe was pleasant, though not extraordinary. And then we sat down to lunch and were blown away. In fact, we couldn’t stop raving about the food in between bites. 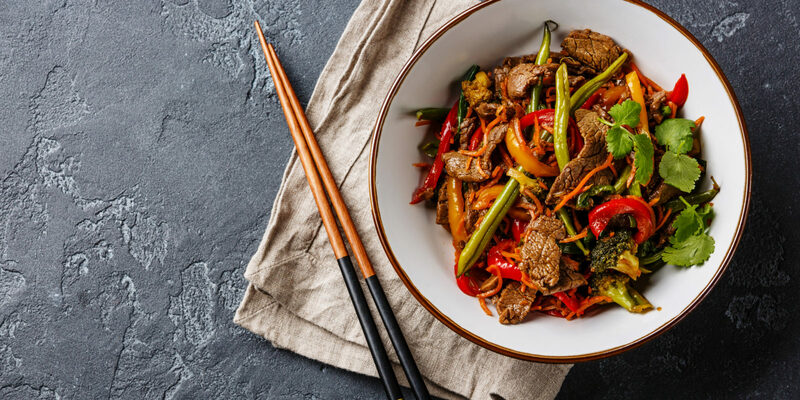 We stuffed ourselves with caramelized pork belly served with pickled pineapple and Kung Pao pastrami, a deliciously spicy take on beef stir fry. Even a staple dish like chow mein was elevated with fat Shanghai-style noodles, hunks of steak, and a healthy dose of Sichuan peppercorn that made my tongue tingle. By the end of the weekend, we had only sampled a sliver of the amazing Asian food San Francisco has to offer, but we left the city with full, satisfied bellies nonetheless. My tastebuds can’t wait to go back and discover more. Enjoy a culinary tour of San Francisco, available through the Marriott Vacation Club Destinations® Exchange Program. Melanie W. is a writer living Denver, Colorado.